18 months old and hardly used. Still in immaculate condition. The Graphire4 Classic XL has an active area of 209 x 151 mm. It comes with a pen, the ideal drawing package to give your creativity free rein. The larger size allows you to work more accurately. The tablet has two programmable ExpressKeys and a scrollwheel. The Graphire4 Classic XL is silver and transparent. It is just a little smaller than an A4 sheet of paper and has an active area of exactly half an A4. The larger size allows you to work more accurately. Moving the accompanying pen or mouse over that active area moves the cursor across the computer screen. 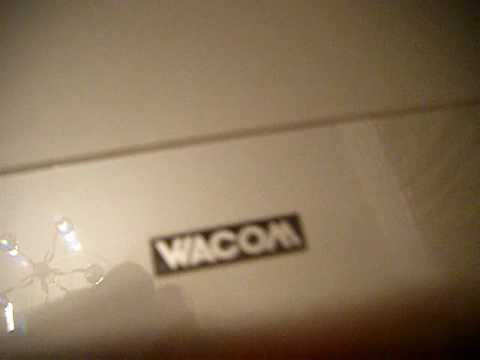 Like all Wacom tablets, this movement can be very precisely controlled. Because you can control the pen with your fingertips, and not the whole hand, you can use the accuracy of the Graphire4 tablet to its full advantage. You can use your ordinary software with the Graphire4 Classic XL since it is compatible with all programs. Along the top of the tablet, there are two programmable ExpressKeys and a scrollwheel. The pen is cordless and contains no batteries, which can be heavy and run down at inconvenient moments. It is the pen-tip that is pressure-sensitive, not the tablet, allowing you to draw smooth lines varying in thickness, colour, or intensity. The pen has two side-switches which are user-customizable for various functions. The other end of the pen has a pressure-sensitive eraser, which works just like the pen-tip and can be used, in many drawing programs, as a real eraser. The ergonomic, cordless and battery less Graphire4 pen makes working at your computer so much easier. Be nice…. But…?…..Umm, wait! ?…… Why? Wow! That's one useless video!